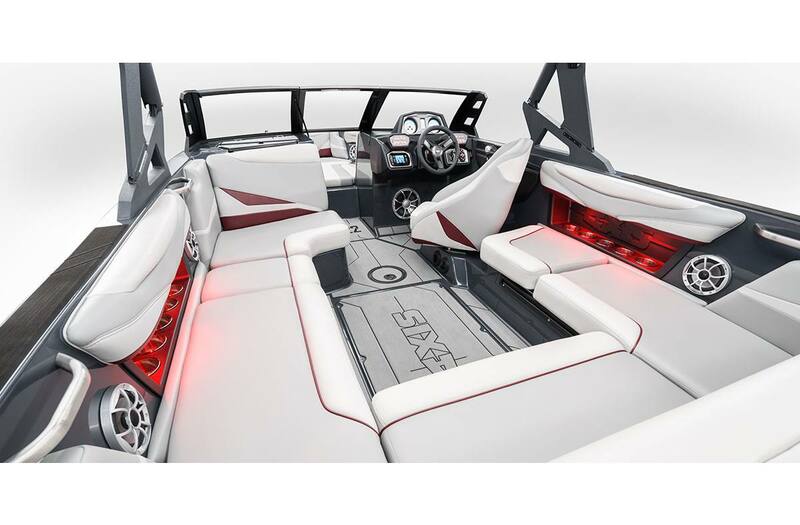 The all-new 2018 Axis T22 towboat is designed to deliver an extraordinary on-the-water experience with precision handling, cutting-edge technology and unparalleled American engineering and craftsmanship. 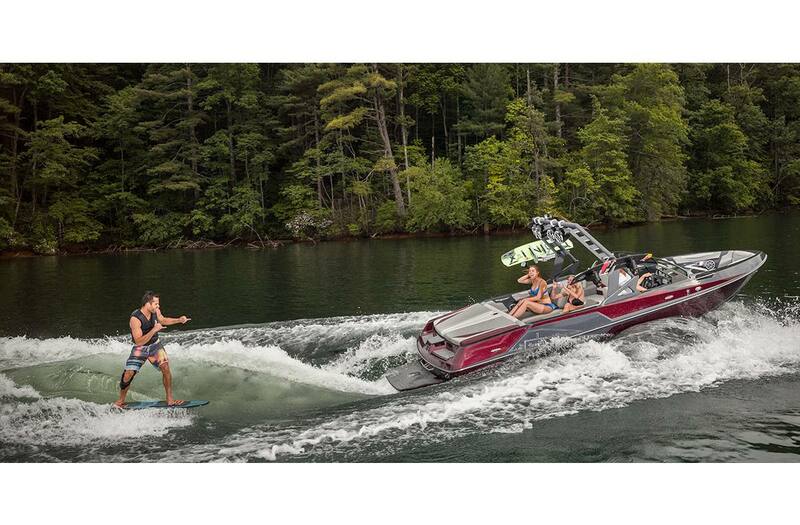 For the first time ever, the transformational Power Wedge II wake and wave generation technology is an available option for Axis customers. Customize wakes and waves for your entire crew with the push of a button! 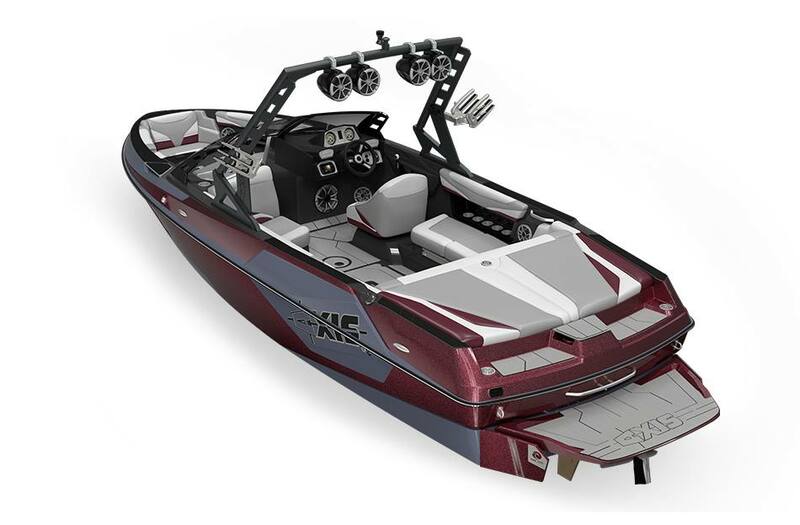 Axis' Performance Surf Package (P.S.P.) includes Power Wedge II, Surf Gate and Surf Band for the ultimate in wake/wave creation and control. 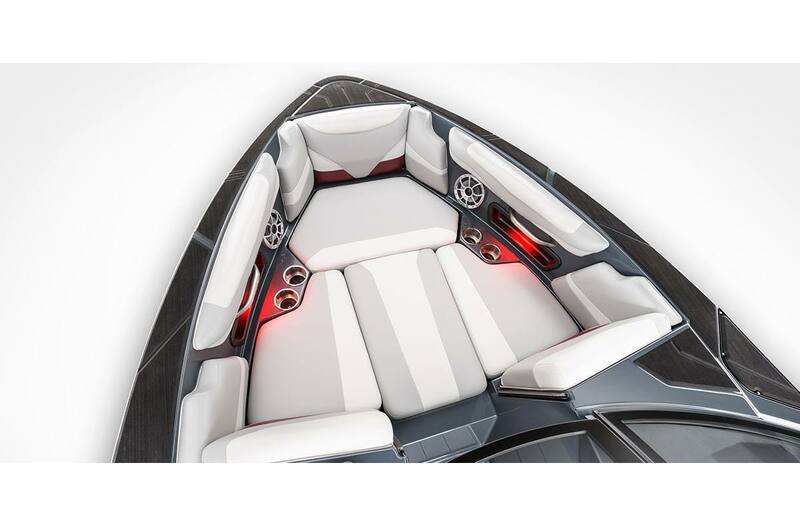 Also new this year is the multi-position Sliding Skybox Seat that gives your passengers an ideal view of the rider without sacrificing comfort. Enjoy the surf and sun in Axis style. Axis AW15 Tower: Tower is easy for one person to fold with optional quick-release latch, quad board rack mounts and optional tower light bar. The tower is available in Black, Charcoal or White. Classic Traditional Bow: Our first Axis with a traditional bow design, the T22 is anything but old school with room for up to 15 people.